The Bossard family’s boat overturned late last Friday near the Hubert H. Humphrey Bridge on the Indian River after hitting a guy-wire, the Cocoa Police Department said in a statement posted to Facebook. Tammy, her husband Brian and their 7-month-old daughter Charlotte struggled to climb on top of the boat, reported the Washington Post. They could hear their 23-month-old daughter Kennedy crying but couldn’t see her. 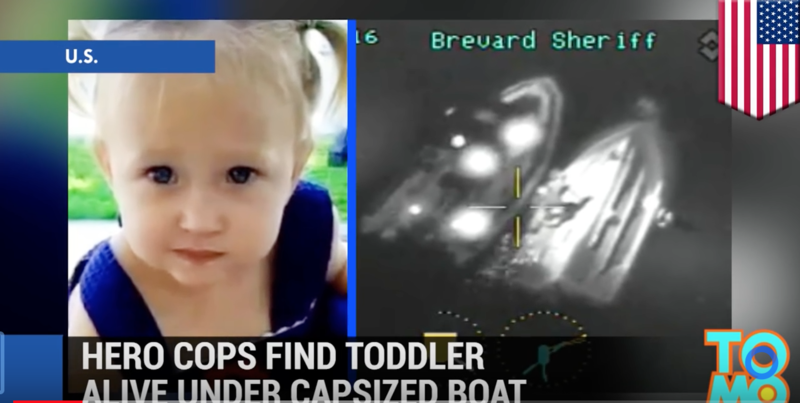 Unknown to them, the toddler – who was wearing a life vest – was trapped under the boat.